Features artwork from Thomas Athey, Charles Heppner, Tyler Hobbs, Leslie Kell, Chalda Maloff, Paul McGuire, and Shirley Steele. Click here to share your announcements. The Irving Arts Center announces a call for artists for the Texas and Neighbors Regional Art Exhibition 2019, open to artists 18 and older living in Texas, Arkansas, Louisiana, New Mexico, and Oklahoma. Up to three works of two-dimensional art may be entered by an artist for an entry fee of $50 ($40 for IAA members). Exhibit dates: May 18 – June 15, 2019. All events will take place at the Irving Arts Center, 3333 N. MacArthur Blvd., Irving TX 75062. Mixed Media -The use of two or more mediums, collage, calligraphy, hand-pulled prints. Collage must incorporate two-dimensional, self-created elements. No relief or three-dimensional objects including found objects or magazine clippings. Submitted works of art must be two-dimensional originals completed within the last two years without instructor supervision. Work must not be a copy of other artist’s work (including reference photographs). Jurors: Susan Roth Romans and Jordan Roth, Owners, Ro2 Art Gallery in Dallas. Ro2 Art, a contemporary fine art gallery located in The Cedars Neighborhood near Downtown Dallas, represents a diverse group of emerging, mid-career, and established contemporary artists – many with ties to the North Texas Region. The gallery, founded in 2010 by mother-and-son partners Susan Roth Romans and Jordan Roth, regularly collaborates with organizations such as The MAC and Cedars Union and maintains an exhibition program within the Magnolia Theatre at West Village and other satellite venues. Ro2 Art has been named Dallas Observer’s “Best Art Gallery” and was presented with the 25th Annual Obelisk Award for small business by the North Texas Business Council for the Arts. The gallery’s art fair program has included the Dallas Art Fair, Texas Contemporary, and Art Aspen. Texas & Neighbors Signature Status (TxN) is earned by having five paintings exhibited in the Texas & Neighbors exhibit. This designation is retroactive. A medal and certificate are awarded. Artists who receive signature status have the right to add the TXN acronym to their paintings plus a listing with a direct link to their websites on the TxN site. A comprehensive economic impact study released summer 2017 by Americans for the Arts, provides compelling evidence that the nonprofit arts and culture sector is a $25.5 million industry in the City of Irving—one that supports 1,031 full-time equivalent jobs and generates $2.6 million in local and state government revenue. The data from the Arts and Economic Prosperity 5 Study prove that the impact of arts in Irving goes beyond the benefits of community engagement and quality of life. It bolsters the economic well-being of the city. For more information, contact info@texasandneighbors.com. The Mayor’s Star Council (MSC) is issuing a call to artists/artist teams interested in creating unique durable artwork to serve as bus stop installations at specific locations in Southern Dallas. Each Bus Stop installation is sponsored by private donors and maintained by DART as part of a network of art installations in Dallas bus stops. 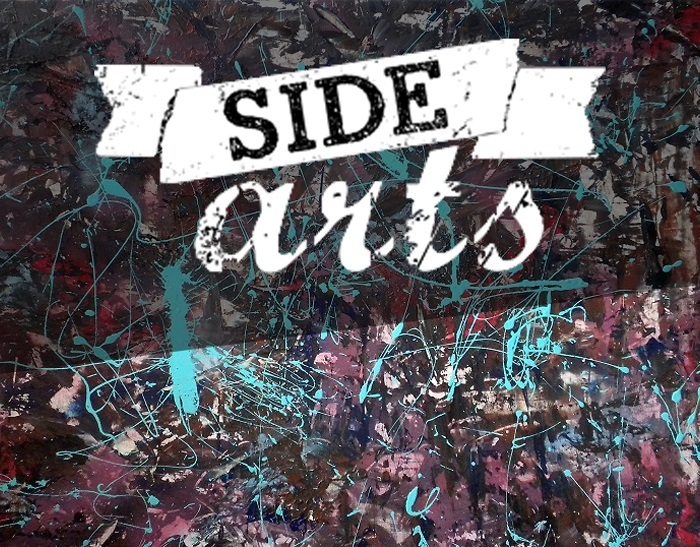 The MSC has teamed up with DART, DISD, and local Dallas artists on this new initiative. Together with partners, the MSC is creating the opportunity for artwork designed by local artists and co-envisioned by Dallas high school students to be showcased at select DART bus stops throughout the City of Dallas. Encourages local DISD students to envision and take ownership for the future of their communities. 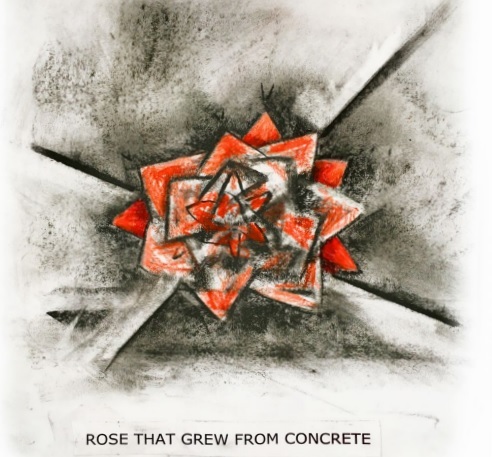 Working with a team of artists, students envision the future of their neighborhoods while connecting that vision to the recognition and honor of the community’s past. Highlights the history and culture of the neighborhood in Dallas it is located in. This project promotes the strong heritage of communities in Southern Dallas. It highlights the stories and history that aren’t always visible in locations visited by hundreds to thousands daily. Connects Northern and Southern Dallas. By offering a uniquely creative opportunity for investment, the Bus Stop installations facilitate the economic and cultural linkage of south and north. They enable Dallas-based donors and corporations from across the region to consider and invest in Southern Dallas. Sister stops offer the additional opportunity for students and all interested Dallas residents to follow the trail or bus route connecting two Dallas communities. Incorporates the brand or logo of the sponsor. The Bus Stop installations offer a unique way to highlight organizations making an impact in our city. Artists will be paid $1000 for their participation. They will be part of a unique collaboration between Mayor’s Star Council, DISD high school students, a local business, DART, and a local Dallas community. Aritsts learn about the history of the neighborhood. They will be inspired by the kids who will provide their vision for the future of the neighborhood. The art piece will be installed in a DART bus stop shelter. Itwill be visible for the community for years to come. Thousands of people will be exposed to this art piece. The artist becomes part of the MSC community, continuing to work alongside our group in new capacities. The Mayor’s Star Council’s mission is to empower leaders to impact Dallas through three pillars: Learn, Connect, and Serve. MSC members engage with peers who share the same passion for improving Dallas. They gain valuable experience that serves as a catalyst for becoming a committed leader. The MSC is made up of a group of diverse leaders from the ages of 25-40 that come from eight different areas of cultural and professional influence: Arts ahd Entertainment, Business, Education, Government, Hospitality & Tourism, Media, Religion and the Social Sector. This group has accepted the challenge from the Mayor to be civically engaged in the challenges the city faces rather than inheriting them in the future. While not officially affiliated with the city, MSC works alongside the Mayor of Dallas. The MSC projects reflect the priorities set forth by the Mayor. MSC works collaboratively with the Mayor to assist with key initiatives, including GrowSouth. For more information, contact diana@mayorstarcouncil.org. Main Plaza, in San Antonio, TX, is announces a call for breakout artists to create and build three independent altars for a downtown venue’s Día de los Muertos tribute. The artists must have the idea created and approved before beginning the project. The piece must be appropriate for all-ages. Dates to construct the altar are October 29th & 30th, and must be removed on November 3rd. This project will use three separate artists who will create their own, differently-designed altar. All backs will form a triangle in an area that will be open to the public for viewing and interaction by placing memories at them. Each artist will be properly credited. Main Plaza will pay for the materials purchased for the piece, up to a decided amount. The artists will be publicly recognized and credited as the creator of the altar to all those who view the altars. This space is located in the center of downtown, with constant foot traffic during the day from offices located nearby. An event will be hosted during one of the evenings to tribute Día de los Muertos. The event will host Patricia Vonne, bringing in a large crowd for that night. The display will be during the most active parts of the week – Wednesday through Friday. Main Plaza is known for the constant, active events that are always free and open to the public, along with the people drawn from the area location. It is a non-profit 501c3 organization dedicated to providing San Antonio and its visitors with the cultural and historical heart of the city values. The organization sits at the center of downtown. It supports local arts and artists. Attendees know that local, incredible talent is always displayed. The venue is known for hosting the top names and the new talent that makes it to be publicly recognized. For more information, contact casey@mainplaza.org. 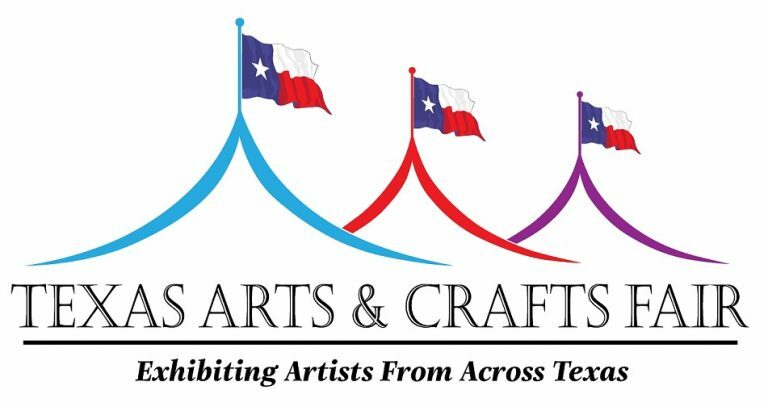 The Hill Country Arts Foundation (HCAF) announces a call for Texan artists and crafts people to apply for the 2018 Texas Arts and Crafts Fair. The fair will be held September 29-30 on the Foundation’s grounds Ingram, Texas. The Texas Arts and Crafts Fair was conceptualized in In 1970, when the Texas Tourist Development Agency tapped Kerr County as the perfect place location. In 2018, the fair moves to the Hill Country Arts Foundation in Ingram, Texas, about six miles west of Kerrville. Against a backdrop of the scenic Guadalupe River on the last weekend in September, 3,000 attendees are expected to visit the fair. The fair will include food trucks, musical entertainment, and an Art Exploration Zone where children and the young at heart can watch artists at work and create their own art. The fair kicks off Friday night, September 28th with a VIP Preview and musical concert in the 720-seat outdoor Point Theater. Texas Monthly magazine is the media sponsor for the 2018 Texas Arts and Crafts Fair. This call is restricted to Texas artists and craftsmen who must be able to verify residence if asked. The fair is a juried show limited to 125 artists. The jury fee is $25. Booth fees range from $200 – $550. A limited number of artist-provided pop-up”tents may be sold. Founded in 1959, the Hill Country Arts Foundation features a 720-seat outdoor amphitheater, 1,700-square foot art gallery, three art instruction studios, a printmaking studio, and a ceramics studio with four kilns. The HCAF is the unique home for the visual and performing arts providing community theatre, art workshops, art exhibitions, and drama classes for adults and children. Additionally, HCAF has become a top-ranked tourist destination with the Stonehenge II art installation. For more information, contact fair@hcaf.com. The National Center for Farmworker Health (NCFH) announces a call for artists to depict an Annual Scholarship Award image relevant to the lifestyle of agricultural and seasonal farmworkers. Proceeds from the sale of fine art prints and posters are used to award scholarships to individuals with the potential to effect positively agricultural workers. The NCFH Annual Scholarship Award program was established in 1984. It offers approximately six to seven $1000 scholarships to Community Health Center staff of clinical, administrative, and ancillary disciplines to help them with their educational goals. The artist chosen must complete the annual scholarship award image no later than March 2, 2018. A $1000 cash prize will be awarded to the selected artist upon completion of the artwork. The artist will receive one fine artist proof and five posters of the image. In addition to the creation of the original piece of art, the artist agrees to attend the conference for the unveiling of the artwork and participate in poster and print signing. Travel expenses will be paid for by NCFH. The artwork will be unveiled at the Conference for Agricultural Worker Health, held in San Antonio, TX in May 2018. Consider this wonderful opportunity to showcase your work. Be a part of a program which helps others to achieve success. The National Center for Farmworker Health is dedicated to improving the health of agricultural workers and their families in the United States and Puerto Rico. The National Center for Farmworker Health supports the NCFH Annual Scholarship Award program. Proceeds from the sale of fine art prints and posters are used to award scholarships to individuals with the potential to positively affect agricultural workers. For more information, contact favre@ncfh.org.